Lowsec was love at first sight for me. From my time as a noob I would hold it in reverence and entertain fevered dreams about being a renowned pirate, but didn’t start my life there in earnest until January 2013. Part of the reason I didn’t ‘get in’ until then was because I hadn’t made the right connections. Another was my idea that I somehow needed to pay my dues and become a better PvP-er before I could hang with the bad boys in lowsec. Between 2006 and 20010 I had few short and horrible stints in small pirate corps that were just as lousy as myself, as well as one in a more established outfit where I was utterly lost. I had so little success that I ended up unsubbing for months and years at a time. Always starting out from highsec at square one when I came back to give EVE another shot, with only a few more SP to show for my sordid history. As I talk about lowsec through Lowlife I have always at least attempted to cover as many aspects of it as I can speak with any authority on. But there is one I hold especially dear to my heart, something that not only got my foot in the door, but took me way down the rabbit hole. Today I am a part of lowsec and it’s a part of me. I have been trying to play this game since 2006, but didn’t find my EVE until much later. I have the Gallente Militia to thank for that. EVE has a unique pull on me. Every time I had fallen off The Learning Cliff it eventually drew me back. There was something there, an itch there was only one way to scratch. I had (yet again) returned to EVE in 2012, and despite a friend’s misgivings about Faction Warfare (the same person who got me interested in EVE to begin with), decided it was worth a shot. After a few days of mucking about in the militia channel asking dumb questions I was directed towards Moira, and by extension their alliance Villore Accords [GMVA]. One year, five months and 25 days later I still haven’t looked back, or unsubbed. During my life in New Eden I had ‘grown up’ with the concept of EVE is Hard™. Hard game, hard people, and no free lunches. So note my surprise when I stepped into GMVA; it was like realizing you still have the hand brake up and releasing it. Within hours of arrival I was handed a free ship and ushered into a fleet, while being meticulously and patiently coached in Faction Warfare. I had my first fight in the alliance moments later. For me this was a revelation of what EVE could be. Every day I would log in, expecting the fun times to taper off like they always had before, but it never happened. Although I wasn’t really a complete novice, I learned more about PvP during my first months in GMVA than I had all of the years before that. When I stumbled my mates were there with helpful advice and another free ship for me to blow up. The only requirement was to “undock and shoot something with it”. Concepts that were alien to me until that point. My entry into GMVA also opened a world within a world. The Gallente Militia is technically anyone and everyone who has signed up with the Federal Defence Union. But within that exists what is the ‘real’ Gallente Militia from where I stand. Corporations and alliances that work together, sharing comms, FC’s, fleet members and strategic goals, for all intents and purposes acting as a coalition with democratic government. Nobody ‘tells’ you what to do in GalMIil, you do it because you choose to. You do it for the guy next to you, because you’ve rubbed shoulders on the same comms for months or even years. 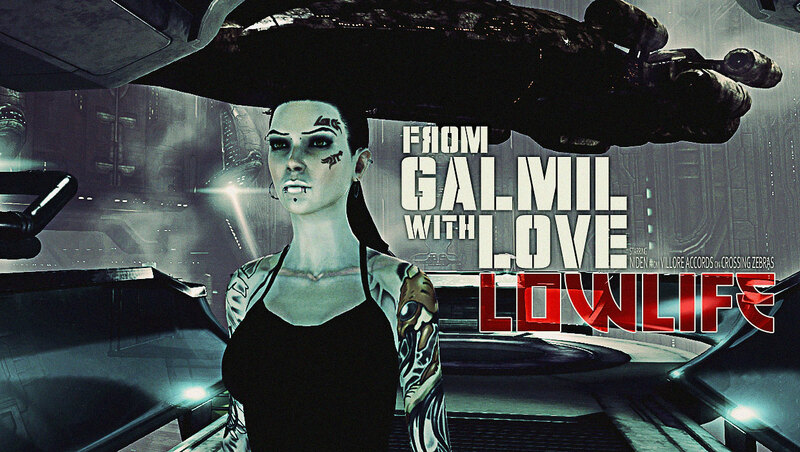 GalMil had a real sense of community I had not come in contact with in EVE before. I was just as welcome in a Justified Chaos fleet as I was with my chums in GMVA for instance. If someone’s home system was under attack everyone would rally to their aid without a second thought. The central and most pivotal foundation for this coalition of sorts, this ‘real’ GalMil, was and is shared TeamSpeak comms. Members need only log into TS to see if there are any fleets up, join their channel with a click and it’s off to the races. It doesn’t matter what corp or alliance you are from, just as long as you are GalMil and have a suitable ship you are welcome. So no matter if it’s a Drunk ‘n’ Disorderly shield AF fleet, C.Q.B HAC’s out to raise hell, the infamous GMVA TTT, or Justified Chaos pushing the latest front line – there is something going on every night. By this method a GalMil ‘culture’ has developed, a militia-wide sense of identity. Although the unmatched success of the Gallente Militia can be directly attributed to shared comms for years, some groups, such as Aideron Robotics, have elected to remain on segregated comms. This in turn has created some friction within the militia. Something that appealed to me was the balls deep attitude that is common in GalMil. The most important thing was never your SP, PvP skills, or how big and shiny your ships was, it was always a willingness to undock and fight. This quality is closely followed in my regard by the variety of FC’s GalMil is so fortunate to have. Ranging from the grand tacticians – pushing the front lines and putting every man in a ship with tireless logistics, to the privateers – warmongers and pirates wearing the Gallente flag as a thin guise while fighting everyone and everything within reach. I enjoy both play styles immensely, as well as the ability to choose which I prefer any given day. All of this is strongly underlined by a community where ‘farming’ is a dirty word and FW is about war, not ISK. The Gallente Militia is not without faults, nor for everyone for that matter. However, without it I wouldn’t be the player I am today, if I was one at all, and you most certainly wouldn’t be reading Lowlife. This article has been edited due to a bad combination of incorrect intel and a failed attempt at satire. I apologize profusely to any Aideron Robotics pilot whom this may have offended, as it was never my intent. The “little North Korea” was intended as a joke, I apologize to anyone who took that seriously and realize I should have worded it better. The bad intel came from direct communications with Aideron pilots who gave the impression Marcel “would get mad” if they were seen on GalMil TS comms. I have since been informed that this was incorrect and take full responsibility for the mistake.